With an extensive collection, large exhibition halls, themed special exhibits, and a rich program of events, Vienna’s Museum of Applied Arts (commonly called MAK) is a great place to spend an afternoon. The museum is located in the ‘Innere Stadt’ (Vienna’s First District), and combines the applied arts, contemporary art, design, and architecture under one roof. The MAK boasts a unique collection of applied arts and is known worldwide as a first­ class destination for contemporary art. The museum’s spacious halls in the impressive Ringstraße building have been redesigned by contemporary artists to best showcase the MAK’s permanent collection, keeping the artistic heritage of the building as part of the viewing experience. The windows of the MAK are distinctively illuminated by James Turrell’s light sculpture, which was permanently installed in 2004. The MAK is more than just a place to view art, though. The museum prides itself on being a ’laboratory of societal knowledge,’ which means it continues to be a hub of collecting, research, preservation, education, and interactive learning – plus it’s a really cool place to have a glass of wine and engage in a little people watching on Tuesday nights. The museum offers free admission on Tuesdays from 6 – 10 p.m. There is an elevator at the entrance on Weiskirchnerstraße, and accessible toilets for disabled visitors. Unfortunately, there is no wheelchair access to the Permanent Collection Contemporary Art. To get to the MAK by public transportation, you can take the Underground U3 to Stubentor, or the U4 to Landstraße/Bahnhof Wien Mitte. Take the Tram 2, or busses 3A and 74A to Stubentor. The Suburban Railway (Schnellbahn) S1, S2, S3, S4, and S7 to station Wien Mitte­Landstraße. Hours: Tuesday, 10 a.m. – 10 p.m; Wednesday – Sunday, 10 a.m. – 6 p.m.; closed Monday. Admission: Adults: 9,90 €; Students and seniors 7,50 €; under 19: free. 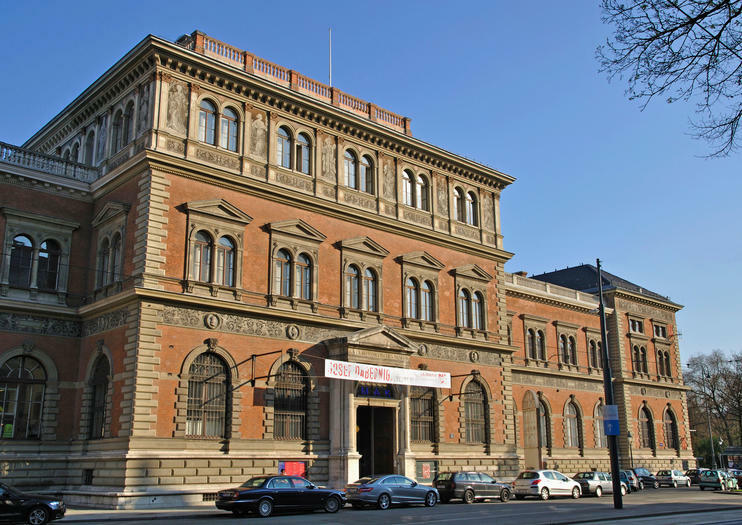 MAK: Austrian Museum of Applied Arts is a Vienna institution. Save time waiting in long visitor lines by having an admission ticket to this fascinating museum. It holds an incredible selection of artwork, such as contemporary art, applied art, design, and architecture. You’ll make the most of your time in Vienna by visiting one of the most innovative art museums in the world. Highlights include rare exhibits in the Vienna 1900 section, and the Design Lab.